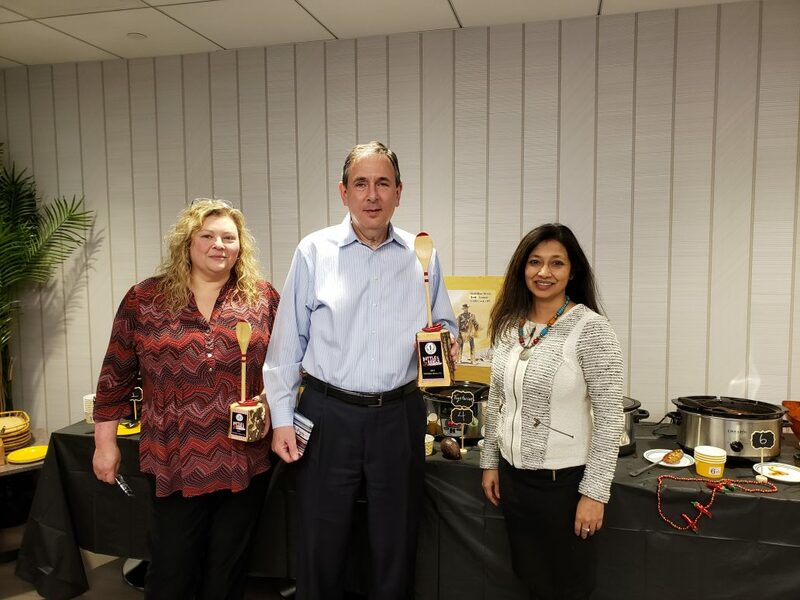 On Monday, March 18th, our team at McMillan Metro gathered for our 3rd annual Chili Cook-Off competition. 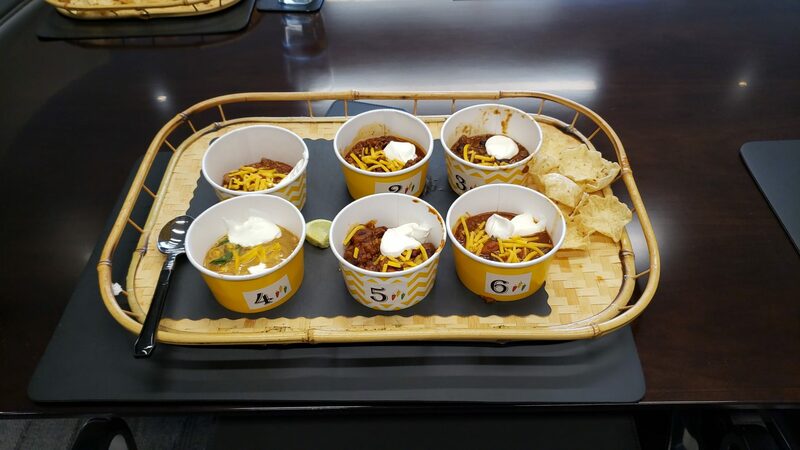 We enjoyed six competitors who created their own tasty iterations of a delicious chili dish. Some of the recipes were of the more traditional style while others branched out to offer vegan varieties. 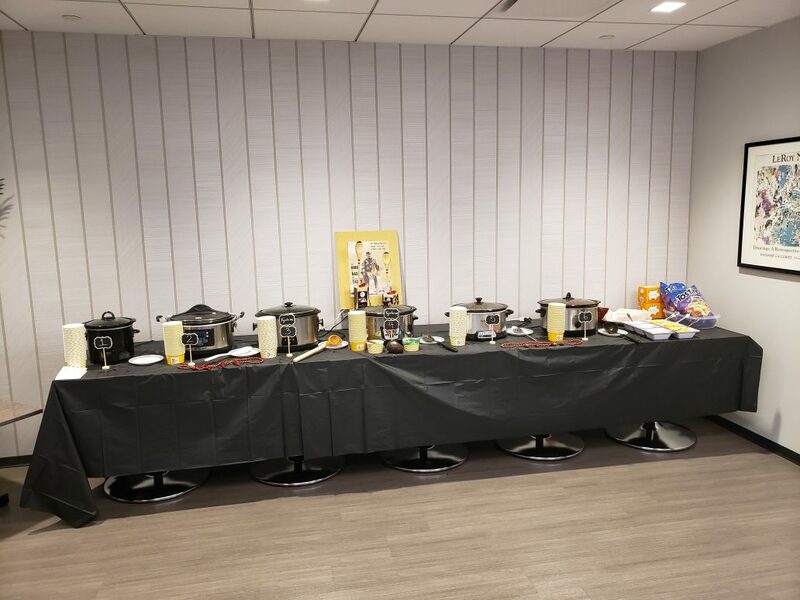 In addition to chili, others prepared cornbread, rice, macaroni and cheese, chili toppings and desserts. Whatever the preference, there was something for everyone and we did not leave the table hungry. 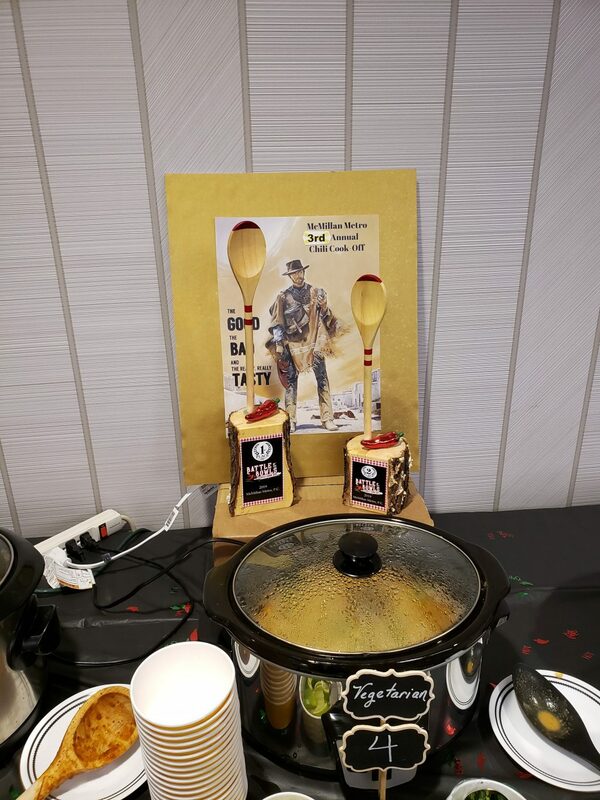 All firm personnel were invited to vote and it really was a difficult decision to pick a top winner, as all of the recipes were delicious! Secret ballots were cast and after filling our bellies, the winner was tallied and shared. 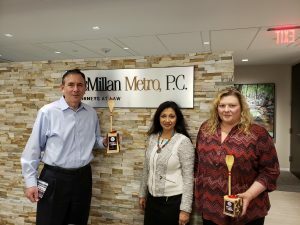 Our first place winner was Ron Lyons, Partner of the Firm, 2nd place went to Natasha Nazareth, Attorney and 3rd place to Maggie Burke, Legal Assistant. While every participate deserved a trophy, our top three participants actually received one. What a fun time for all. Ideas are already circulating for our next event so stay tuned!